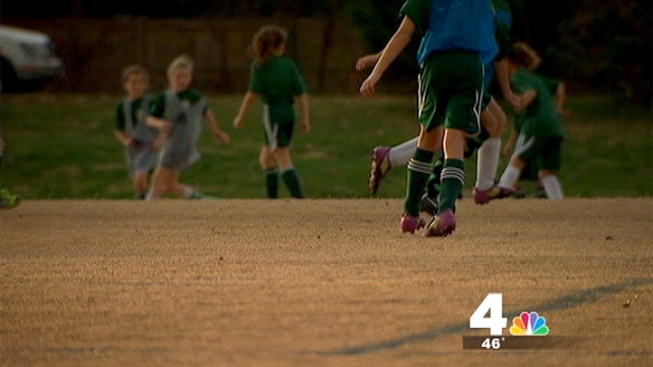 Youth sports is serious business in northern Virginia. And with schools busting at the seams, space is tight when it comes to field space. Which is why a battle is brewing off field over one of the last undeveloped patches of land in McLean. Back in 2005, Fairfax County purchased a conservation easement for the historic property known as Salona on Dolley Madison Boulevard. Sixteen million dollars. The most expensive land purchase in county history. "I was in the room," says Kevin Fay, who sits on the Fairfax County Park Authority Board. “It was stated by the county executive that this deal would not happen unless there were athletic fields as part of the arrangement." A copy of the deed obtained by the News4 I-Team details 10 of the 41 acres in the easement could be used for "recreation purposes," including "two natural turf rectangular fields," a "playground," "picnic area with shelter" and "public trails." But seven years later, the land remains untouched. And the county says the owner, Dan DuVal, has changed his mind. DuVal counters, "We didn't do the deal to sell it for athletic fields. We did it for a conservation easement and we have gotten a conservation easement." He says he could have made millions more by selling Salona to developers. Instead, he offered it to the county as an easement, at a much cheaper price. "We really wanted to preserve this resource for current and future generations,” DuVal explains. “It is a unique property." But Joel Stillman with McLean Youth Athletics says there’s a desperate need for fields at Salona. “We have been asking the county for space to build fields for decades." He says the fields at Salona, “only encompass less than 10 percent of the property. Over 90 percent of the property under our proposal is left for education and historical purposes." So, on one side you have Stillman who's gathered 2,500 signatures from residents supporting his plan. The opposing side? Nearby neighbors who tell the News4 I-Team DuVal is rallying opposition to the fields. Something he denies. "We didn't go around back doors and try to defeat anything." With so much disagreement on what to do with Salona, Fairfax County Supervisor John Foust (D – Drainesville) created a task force to find out what the community really wants. "We're not going to rush into doing something that we regret,” he says. The task force includes DuVal and Stillman and will make a recommendation to the Park Authority next year, which has final say over what happens. For its part, the Park Authority says it needs to conduct historical and wetland surveys, which might limit the number of fields. But Fay thinks, "Perhaps if we're not going to put athletic fields there, the price should be renegotiated." So far, the DuVal family says it’s received about six of the $16 million and says if the community really wants fields there, he will accept it. When asked what he thinks the land will look like in five years, Supervisor Foust responds, “I suspect it's going to look a lot like it does now."